2004 Elites Win 2017 JWK Memorial Tournament! 2004 Elite Div JWK Champs! The 2004 Elites won the 2017 JWK Memorial Tournament. 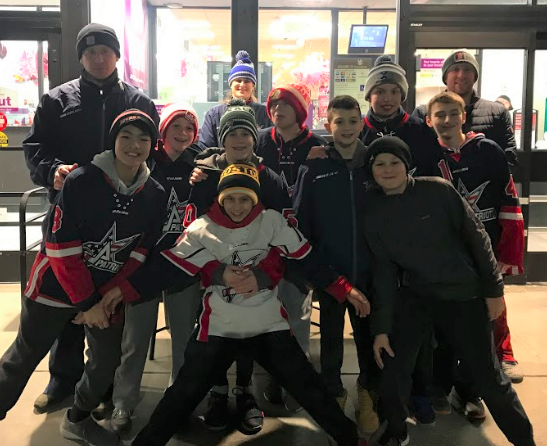 The 2004 Division was played at Foxboro rinks and Rodman Rinks in Foxboro and Walpole. The team started slow with a loss to Westchester Express on Friday, but then rolled off 6 wins in a row to take home the Elite Division Tournament Championship. The team battled teams from NY, VA, and MA and had to beat two of the same teams two times in three days. The Championship was won in OT with a beautiful, low far post shot from the left circle. The team improves to 14-3 in tournament play this season, they attribute their success to a positive locker room, good positional hockey, off ice work outs, attending skills, and shooting pucks at home! Keep up the good work boys! Try a Free Skate with the Patriots! 06 Elite team wins the JWK! Patriot 07s, 11s, and 09s make it to semifinals! 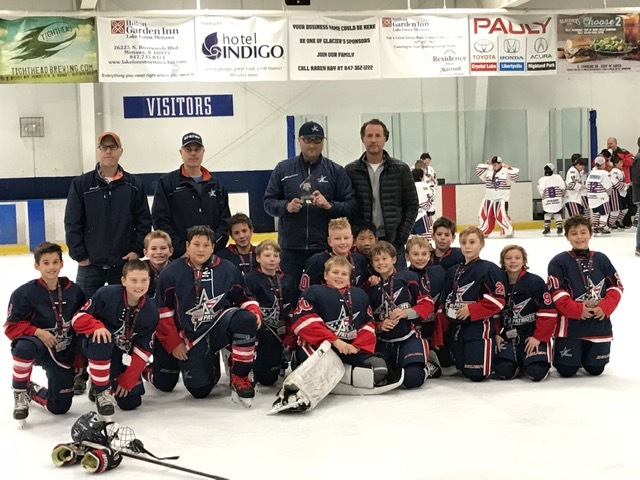 2008 Elite Patriots Bring Home Silver from the Windy City!